When will be The AM Show next episode air date? Is The AM Show renewed or cancelled? Where to countdown The AM Show air dates? Is The AM Show worth watching? 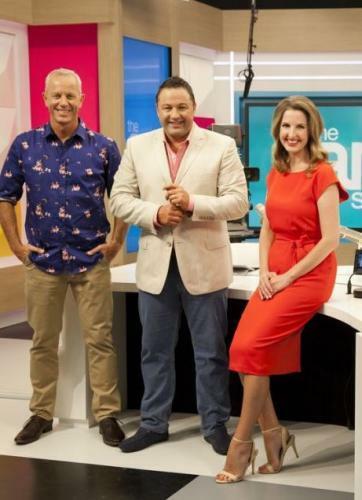 Amanda Gillies and Mark Richardson have been announced as Duncan Garner's co-hosts for MediaWorks' new 6-9am weekday news programme, The AM Show.The show will launch early in 2017, replacing Paul Henry, which finished on December 16.Mark Richardson, of TV3's The Block New Zealand and The Morning Sound fame, will join the show as sports presenter, while Amanda Gillies - one of New Zealand's most experienced news reporters - will be the newsreader.The AM Show will retain some attributes of the Paul Henry programme, but with a number of changes and additions. The AM Show next episode air date provides TVMaze for you. EpisoDate.com is your TV show guide to Countdown The AM Show Episode Air Dates and to stay in touch with The AM Show next episode Air Date and your others favorite TV Shows. Add the shows you like to a "Watchlist" and let the site take it from there.